Wolves great Roy Swinbourne has died at the age of 86. The centre forward scored a total of 114 goals in 230 appearances for the club between 1946 and 1957. He most famously scored twice as the then English champions beat Hungarian side Honved, which at that time provided half of the country's national team, 3-2 at Molineux in December 1954. "Everyone at Wolves was deeply saddened to hear of the death of Roy," said chief executive Jez Moxey. "Roy is one of the club's most iconic and revered footballers and he's left an everlasting mark on the club's history. "He was the hero of the famous floodlit game versus Honved, which many fans say is the club's most famous victory." Sandor Kocsis headed in fellow Hungary legend Ferenc Puskas' free-kick to help Honved lead 2-0 after 14 minutes, however a second-half Johnny Hancocks penalty and two in two minutes from Swinbourne saw Wolves win. The Hungary national side was one of the strongest in world football in the 1950s. They won the 1952 Olympic title before inflicting a first international home defeat at Wembley on England, winning 6-3 in 1953 in a game dubbed the "Match of the Century". The following year they thrashed England 7-1 in Hungary, a score that remains England's heaviest defeat. Hungary went on to reach the 1954 World Cup final where they led West Germany 2-0 but lost 3-2 in Bern, Switzerland - their only defeat in 50 matches from 1950-56. 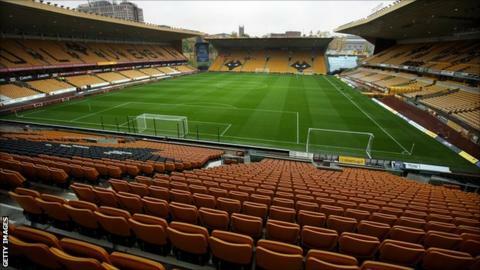 Wolves' players will wear black armbands during Monday's game at Charlton.